Just over a year ago it was revealed that Robert Downey Jr. was sett to follow in Rex Harrison’s (and Eddie Murphy’s) footsteps by playing Doctor Dolittle on the big screen. Now the cast has grown, with the likes of Kumail Nanjiani, Octavia Spencer & John Cena, who will be voicing animals alongside the previously announced Tom Holland, Selena Gomez, Emma Thompson, and Ralph Fiennes. Antonio Banderas is onboard to play a pirate, with Michael Sheen as a character called Mudfly. To help us picture who everyone in the voice cast will be, Downey Jr. tweeted out and image to show who’s a giraffe, who’s a dog and who’s a parrot. You can take a look at that image below. 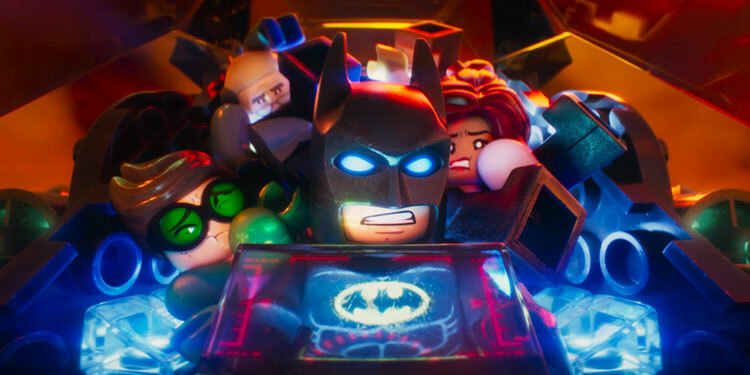 The Lego Batman Movie (Blu-ray Review) – Has the Caped Crusader gone a little gay? The Lego Movie was a surprise to many – a film that when it was announced sounded like such a bad idea turned out to be one of the funniest, most original animated movies of the last few years, and a major hit to boost. 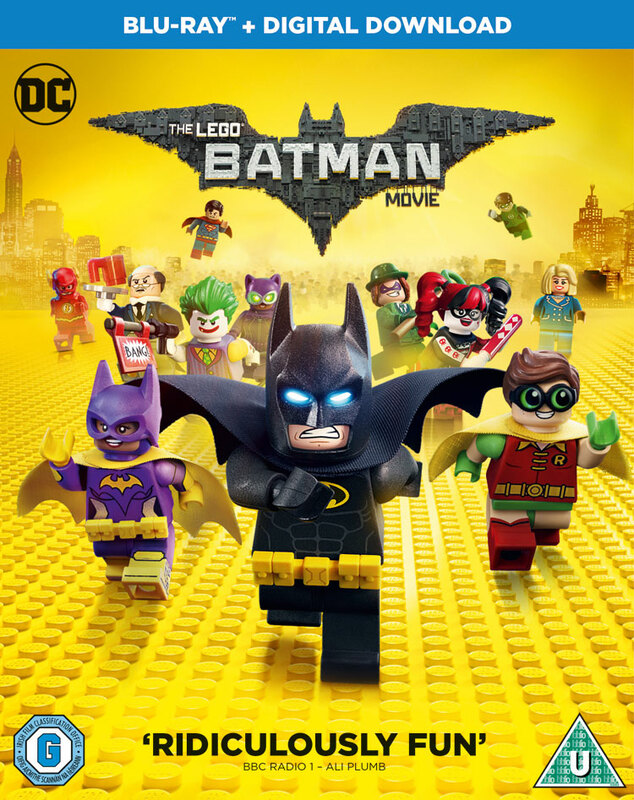 Warner Bros. suddenly realised they had the potential for something much bigger, so rather than just putting a sequel in the works, they started working on spin-offs, including a Ninjago movie and The Lego Batman Movie. 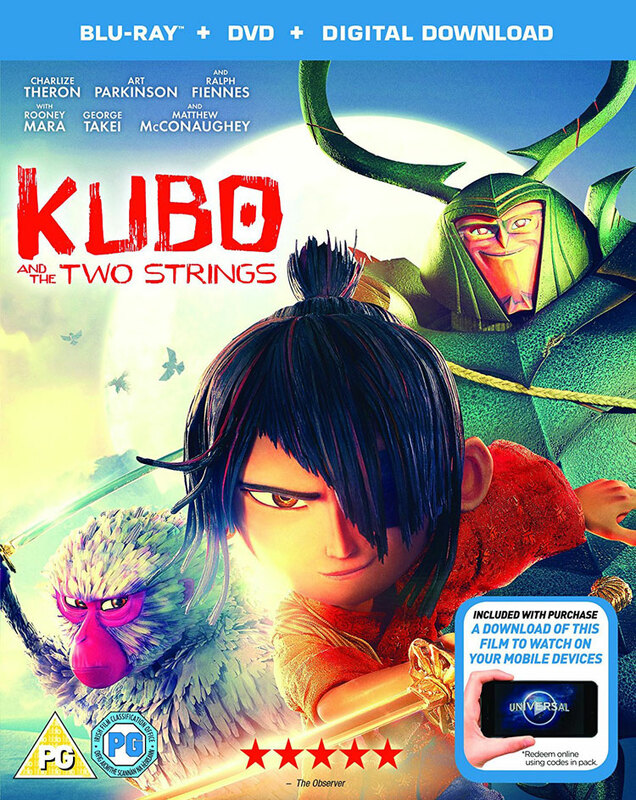 Kubo is a young boy, living secluded with his mother inside a mountain. Each day he goes to the nearby village and tells stories, using his magic to enact them to the villagers with moving origami figures. 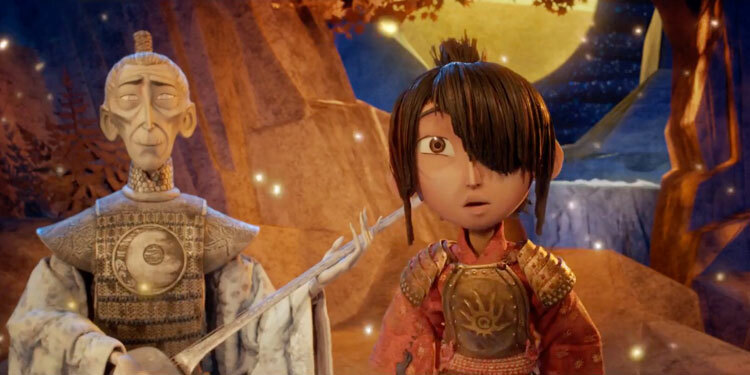 He tells the story of his heroic father, who was killed trying to save Kubo from his evil grandfather, the Moon King. Kubo lost an eye in the attack, but he and his mother managed to escape. Back in August it was revealed that Stepbrothers and Talladega Nights co-stars Will Ferrell and John C. Reilly are reuniting for Holmes and Watson. Now they have some company, as Ralph Fiennes and Hugh Laurie have joined the movie, according to THR. Ferrell is set to be Sherlock Holmes in this comedy take on Arthur Conan Doyle’s detective, with Reilly as Watson. It’s not known who Laurie and Fiennes will be, although they will apparently ‘slip on the shoes of two beloved characters from the Holmes oeuvre’. That likely means one of them will be Moriarty, with the other either as Holmes’ brother Mycroft, or Inspector Lestrade. Etan Cohen is writing and directing the movie, which is already shooting in London. The movie is due out in 2018. While many had expected the Coen Brothers’ Hail, Caesar! to be making an Oscar run, it’s been slightly pushed back, but it still looks like it’s going to be a lot of fun. If nothing else their look back at the Golden Age of Hollywood has one hell of a cast. A new trailer has now arrived, which tells us little about the plot, but certainly gives us a feel for quirky tone we can expect. The film will be in UK cinemas on March 4th. For Hail! Caesar! the Coen Brothers have certainly lined up an all-star cast, including Josh Brolin, George Clooney, Ralph Fiennes, Tilda Swinton, Channing Tatum, Scarlett Johansson, Jonah Hill and Frances McDormand, and all for a tale of the Golden Age of Hollywood. Sam Smith’s Writing’s On The Wall has just become the first Bond theme ever to reach number 1 on the UK single’s charts, and it’s just a few weeks until Spectre reaches cinemas, hoping to match the gargantual success of Skyfall. And just in case we needed another reminder of 007’s imminent return, as final trailer has been released. Here’s the synopsis: ‘A cryptic message from the past sends James Bond (Daniel Craig) on a rogue mission to Mexico City and eventually Rome, where he meets Lucia Sciarra (Monica Bellucci), the beautiful and forbidden widow of an infamous criminal. Bond infiltrates a secret meeting and uncovers the existence of the sinister organisation known as SPECTRE. ‘Meanwhile back in London, Max Denbigh (Andrew Scott), the new head of the Centre for National Security, questions Bond’s actions and challenges the relevance of MI6, led by M (Ralph Fiennes). Bond covertly enlists Moneypenny (Naomie Harris) and Q (Ben Whishaw) to help him seek out Madeleine Swann (Léa Seydoux), the daughter of his old nemesis Mr White (Jesper Christensen), who may hold the clue to untangling the web of SPECTRE. As the daughter of an assassin, she understands Bond in a way most others cannot. Nobody was expecting Skyfall to join the billion dollar box office club, but when it did it ensured the 007 got a massive shot in the arm and there was huge amounts of anticipation for the next instalment. The film, Spectre, reunites Daniel Craig with director Sam Mendes. The first full trailer is now here. Here’s the synopsis: ‘A cryptic message from the past sends James Bond on a rogue mission to Mexico City and eventually Rome, where he meets Lucia Sciarra (Monica Bellucci), the beautiful and forbidden widow of an infamous criminal. Bond infiltrates a secret meeting and uncovers the existence of the sinister organisation known as SPECTRE. ‘Meanwhile back in London, Max Denbigh (Andrew Scott), the new head of the Centre for National Security, questions Bond’s actions and challenges the relevance of MI6, led by M (Ralph Fiennes). Bond covertly enlists Moneypenny (Naomie Harris) and Q (Ben Whishaw) to help him seek out Madeleine Swann (Léa Seydoux), the daughter of his old nemesis Mr White (Jesper Christensen), who may hold the clue to untangling the web of SPECTRE. It’s official, Bond 24 has been announced with a major event in London and it will be called Spectre. Of course that’s the name of the evil organisation headed by Blofeld in early Bond movies (It stands for (SPecial Executive for Counter-intelligence, Terrorism, Revenge and Extortion), and the name of the film signals its return. Both Blofeld and SPECTRE disappeared from Bond after a protracted legal battle decided Thunderball screenplay co-creator Kevin McClory owned them. However a few years ago Eon Productions purchased the rights and brought them back into the official Bond fold. Every film since Casino Royale has had rumours of a SPECTRE appearance, but it’s only now it will actually happen. The announcement also confirms that alongside returnees Daniel Craig, Ralph Fiennes, Naomie Harris, Ben Whishaw and Rory Kinnear, newbies Christoph Waltz, Léa Seydoux, Dave Bautista, Monica Bellucci and Andrew Scott will star. Although there’s no confirmation, the presumption is that Waltz will be Blofeld. Here’s the official press release (and take a look at some pics from the launch event below): ‘007 Soundstage, Pinewood Studios, London. James Bond Producers, Michael G. Wilson and Barbara Broccoli today released the title of the 24th James Bond adventure, SPECTRE. The film, from Albert R. Broccoli’s EON Productions, Metro-Goldwyn-Mayer Studios, and Sony Pictures Entertainment, is directed by Sam Mendes and stars Daniel Craig, who returns for his fourth film as Ian Fleming’s James Bond 007. SPECTRE begins principal photography on Monday, December 8, and is set for global release on November 6, 2015. ‘Along with Daniel Craig, Mendes presented the returning cast, Ralph Fiennes, Naomie Harris, Ben Whishaw and Rory Kinnear as well as introducing Christoph Waltz, Léa Seydoux, Dave Bautista, Monica Bellucci and Andrew Scott. Mendes also revealed Bond’s sleek new Aston Martin, the DB10, created exclusively for SPECTRE. ‘A cryptic message from Bond’s past sends him on a trail to uncover a sinister organisation. While M battles political forces to keep the secret service alive, Bond peels back the layers of deceit to reveal the terrible truth behind SPECTRE. ‘The 007 production will be based at Pinewood Studios, and on location in London, Mexico City, Rome and Tangier and Erfoud, in Morocco. Bond will return to the snow once again, this time in Sölden, along with other Austrian locations, Obertilliach, and Lake Altaussee. ‘Commenting on the announcement, Wilson and Broccoli said, “We’re excited to announce Daniel’s fourth installment in the series and thrilled that Sam has taken on the challenge of following on the success of SKYFALL with SPECTRE.”. ‘Written by John Logan and Neal Purvis & Robert Wade, Director of Photography is Hoyte van Hoytema and Editor is Lee Smith. Production Designer, Dennis Gassner returns along with Costume Designer, Jany Temime and Composer, Thomas Newman. Action Specialist, Alexander Witt is the 2nd Unit Director. Stunt Coordinator is Gary Powell, SFX Supervisor is Chris Corbould, and Visual Effects Supervisor is Steve Begg. ‘Skyfall, the 23rd James Bond film, was a worldwide box office phenomenon, opening #1 in 70 territories around the world, taking over $1.1 billion worldwide and setting a new all-time box office record in the UK by becoming the first film to take over £100 million.